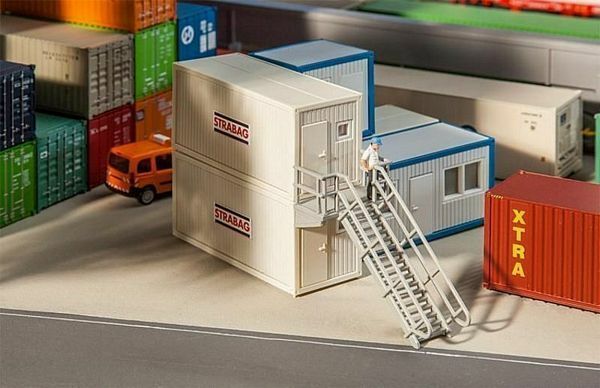 Portable building site equipment. 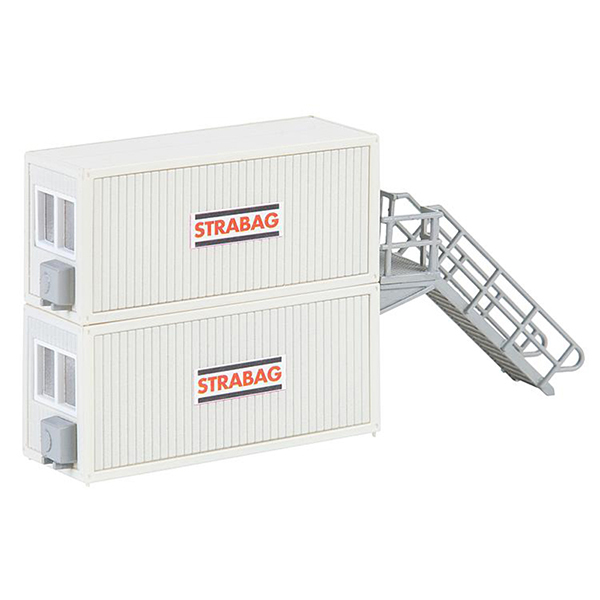 Set comprised of two stackable profiled sheet steel containers joined through an outside stairway, with windows and air conditioning. 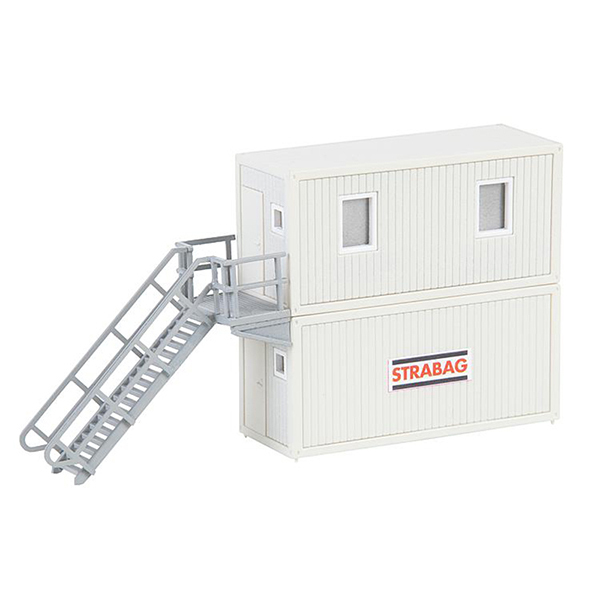 Multiple uses as building site office, accomodation or for weather-sheltered storage of material.